Mosaics for a master bathroom can take luxury to the next level, adding a richness to the decor that simply exudes decadence. 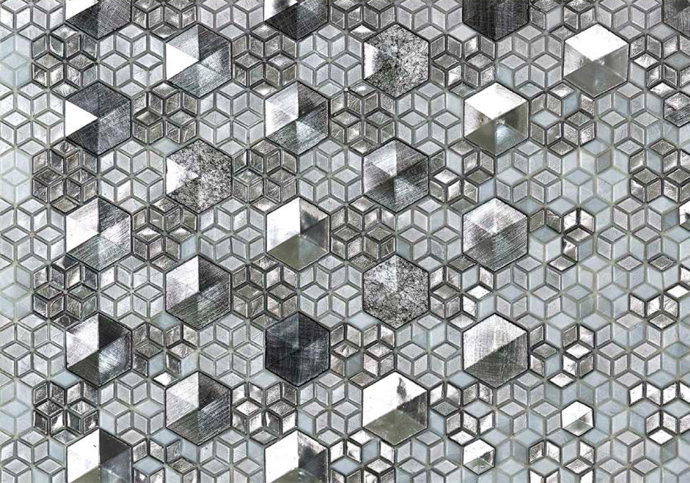 Intricate mosaic work can really look spectacular, using a subtle blend of colours to create a tonal wall piece. Concept’s in house design team use their expert knowledge and years of experience to put together a portfolio of luxurious decor options befitting for a high end development or luxury private client refurbishment project. We’ll consider everything, down to the minute detail of the mosaic tile shape and hue, to create something unique and breathtaking. Accent walls can be used to break up a large room, creating warmth or a focal point to give movement to a room. 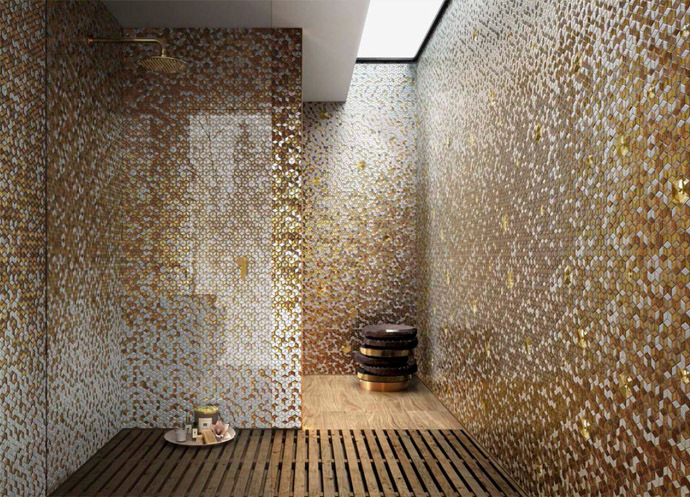 Using textures such as mosaic tiles offers the opportunity to add a truly decadent feel, a modern twist or a more traditional atmosphere. Luxury high end developments require something unique and exceptional, to provide an experience that is out of the ordinary. 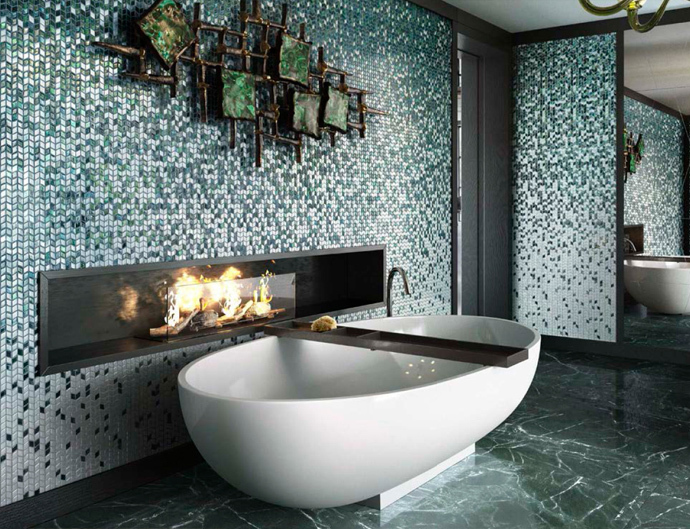 With mosaic tiles and accent walls, the opportunities to create something spectacular are practically limitless, with a vast range of colours, shapes and textures that can be combined. Within Concept’s beautiful showroom you’ll find stunning examples of the materials we can use within luxury high end developments to add the wow factor to the decor. This entry was posted in Luxury Bathrooms and tagged Bathroom design Amersham, bathroom design Maidenhead, bathroom design Windsor, bathroom designers ascot, bathroom designers Henley on Thames, bathroom designers Marlow, bathroom designers virginia water, Bathroom designers Weybridge, bathroom mosaic tiles, Hi End Bathroom Designers Beaconsfield, High end bathroom mosaic, luxury bathroom, luxury bathroom design, Mosaic and Accent Walls, Mosaic and Accent Walls for Luxury Bathrooms, Mosaic bathroom design, Mosaic Walls. Bookmark the permalink.